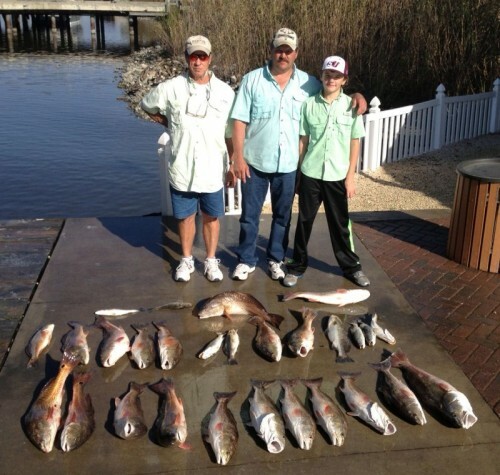 December 24, 2012 Gary H. , Brent and Son Reilley Catch an Incredible Lake Calcasieu Limit!!! 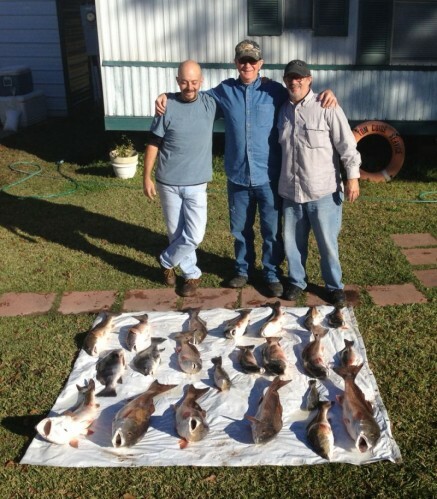 December 24, 2012 Gary H. , Brent and Son Reilley Catch an Incredible Lake Calcasieu Limit!! Plus we caught and released another 75 Bronze beauties in the 5 to 10 lb Class. It just doesn’t get any better!!! 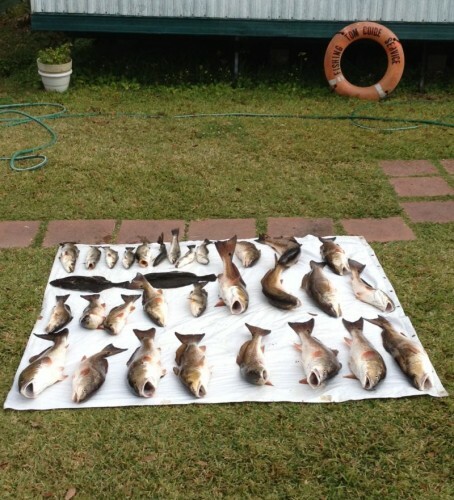 December 23 , 2012 Ben S & Family Have an Incredible Day on Lake Calcasieu!!! 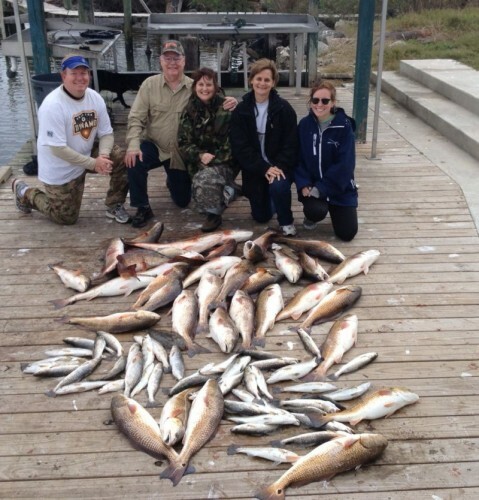 December 23 , 2012 Ben S & Family Have an Incredible Day on Lake Calcasieu!! We Limited on Big Reds on Berkley Gulp and caught another 30 Big Bronze Beauties we released and a nice mess of trout to boot!!!. Everyone will have sore arms and lots of fish filets for Christmas!!! Great day on Lake Calcasieu and my first time there! Tom was an awesome guide – took great care of us. First spot in the morning we caught so many Redfish that we threw back at least one for every one we kept because they were too BIG! Can’t wait to get back. Thanks Tom! December 17, 2012 Bill B. 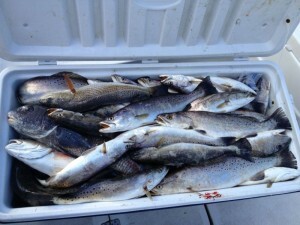 & Brother Robert & Nephew Ashley Wear out their Arms and a Nice Limit of 2 to 10 Pound Lake Calcasieu Reds!!! December 17, 2012 Bill B. & Brother Robert & Nephew Ashley Wear out their Arms and a Nice Limit of 2 to 10 Pound Lake Calcasieu Reds!! Gulp was the bait and drags were screaming all morning long on these Big Lake Bronze Beauties!!! 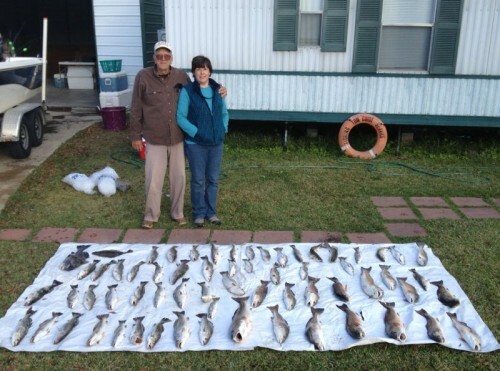 12-11-2012 Mark W. & Daughter Rennee Catch a Nice Limit of Big Lake Calcasieu Trout and a Limit Of Big Lake Bronze Beauties Too!!! 12-11-2012 Mark W. & Daughter Rennee Catch a Nice Limit of Big Lake Calcasieu Trout and a Limit Of Big Lake Bronze Beauties Too!! It was Gulp all the way to a cooler that would barely close!!! December 1, 2012 Christmas Came Early on Lake Calcasieu for Freddie F. and Friends Sam & Kenneth With This Nice Limit of Bronze Beauties!!! December 1, 2012 Christmas Came Early on Lake Calcasieu for Freddie F. and Friends Sam & Kenneth With This Nice Limit of Bronze Beauties! Gulp did the trick to fill the cooler with a nice mess of 2 to 8 lb Reds!!! Also some nice trout and flounder to make for a great start to December!! !